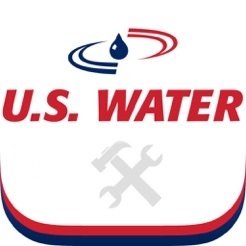 U.S. Water (USW) is the world leader in innovative integrated solutions. 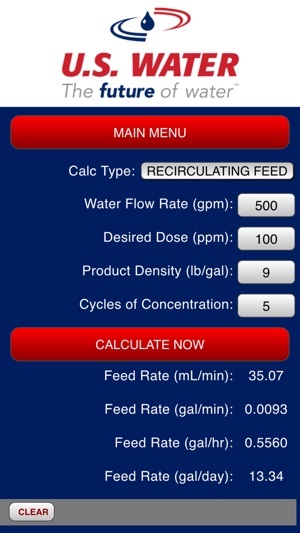 This app is just one of many ways in which USW strives to change water management for the better. 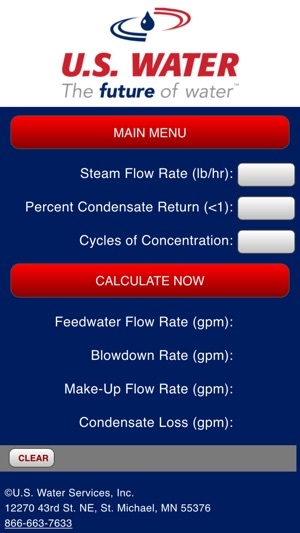 This app gives users pertinent information and calculators at their fingertips so they can properly take care of water systems. 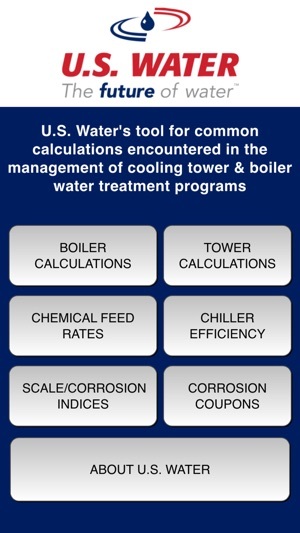 Visit us at www.uswaterservices.com to learn more about USW and our capabilities. 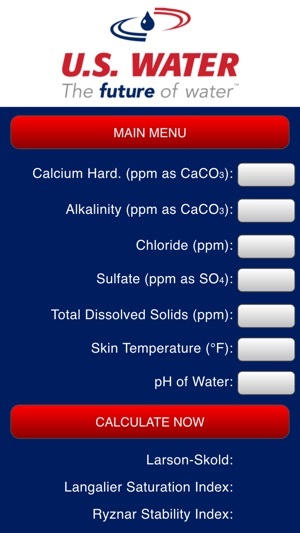 Fix to Scale/Corrosion Indices and Chiller Efficiency computations. 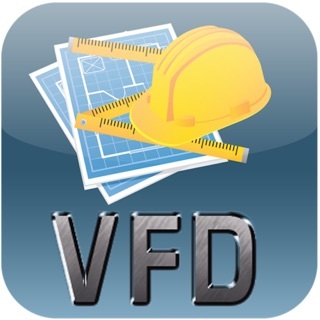 © 2016 U.S. Water Services Inc.